For review this time I had no less than 3 DACs from the same manufacturer. SW1X take unique approaches to achieve great sound, and instead of sticking with any one solution, they seek the best balance for every model. A good example for this is the DAC 1 which is available in several versions, of which I have tested two. 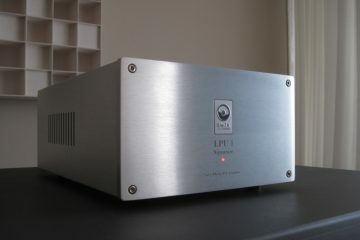 See the extensive DAC 1 review for my listening impressions. As can be read in that review, the great thing about the SW1X approach is that there is bound to be the perfect product for every taste and situation. 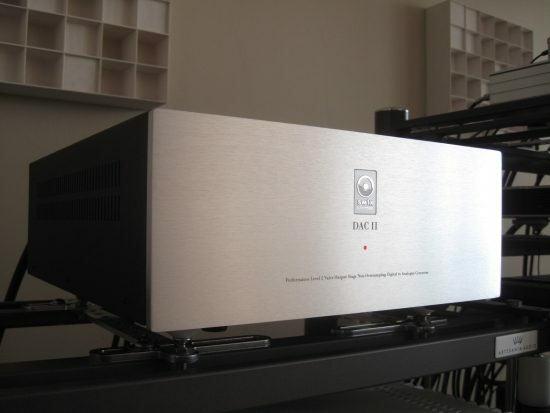 The DAC 2 is their level 2 product, one up from the DAC 1. Like the DAC 1, the DAC 2 is available in several versions, of which the standard version is tested here. This version has a pair of special Silicon transistors in the I/U conversion stage which makes it an “active” version. Its power supply circuit incorporates valve based rectification instead of Silicon as in DAC I. There is also a version with Germanium transistors, which sounds even clearer and softer relative to the Silicon reviewed here. This is not to be confused though with the Germanium transistor based low voltage power supplies, which are a standard to all SW1X products. 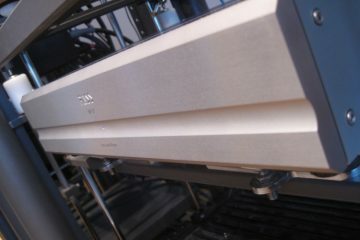 The power supply in the DAC 2 is valve rectified. DAC used in the DAC 2 is the Burr Brown (now TI) PCM56-K, which is a multibit converter, just like the TDA1543 used in the DAC 1. I tend to prefer multibit DACs over Delta/Sigma designs but it’s a bit or a relative matter and a lot hinges on the implementation. All SW1X designs by the way are R2R, non-oversampling and use no digital filter. SW1X have published an interesting piece on parts properties and sound as part of the SW1X Design Philosophy, which you can read here. Please see the manufacturer’s website for more technical details. 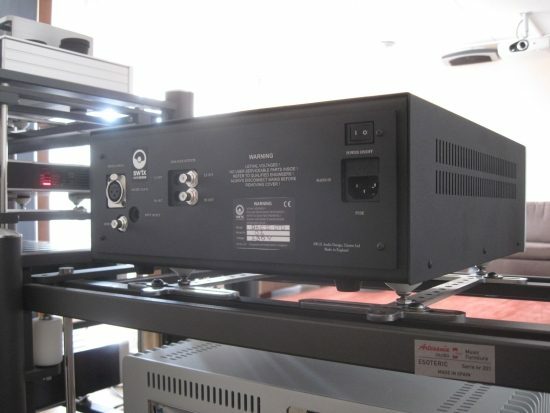 The DAC 2 was set up the same as the DAC 1, so also on the top level of the Artesania Rack, and connected with the same power cable (Furutech Alpha 3 with FI25/FI35 connectors), digital cable (Belden RG59) and interlinks (Siltech Paris). 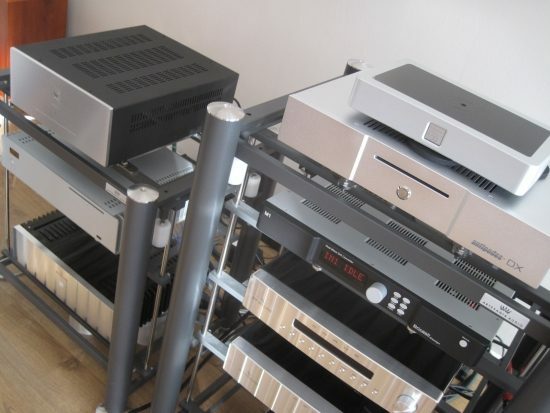 Speakers used are the refurbished Apogee Divas. 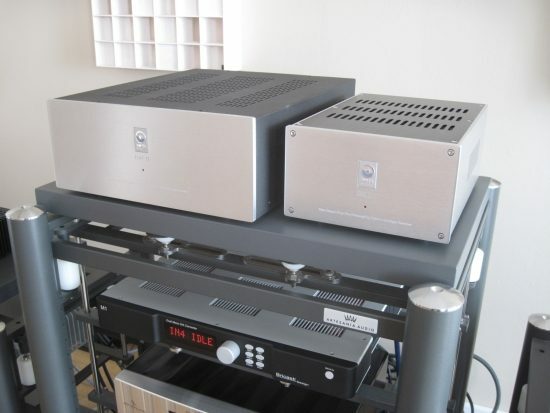 The DAC 2 sounds different from both DAC 1 versions, but there is still a strong family resemblance. For starters, the DAC 2 (which has active I/U conversion) sounds more like the passive DAC 1 in terms of bass but more like the active DAC 1 in terms of even-handedness. It doesn’t have all of the very punchy active DAC 1 bass, but has a much higher level of refinement and on balance is just as lively and enthusiastic. I’d say that the DAC 2 seems to mix the best of DAC 1 Active and DAC 1 Passive, by sounding upbeat and lively but still fluid, rich and relaxed. Particularly the DAC 2’s midrange is quite a bit smoother than that of either DAC 1 version, and better integrated, very dynamic but not at all shouty. It has an overall more balanced, more natural presentation. Also obvious immediately is the increase in soundstage width and the air within it. Images are more free, and more occupy their own space, compared to either DAC 1 version. Cross-referencing with the Wadia 521 DAC confirms that the DAC 2 sounds warmer and smoother than either DAC 1 version, and this time the Wadia has a slightly more forward midrange. But instead of also coming across as being livelier, the Wadia sounds a bit static in comparison. 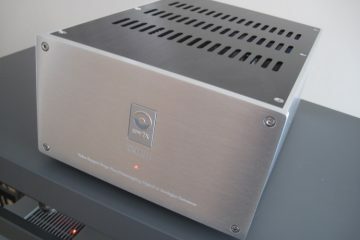 Regular readers will know that I am very fond of the Wadia sound in general and especially the 521, for their powerful sound, but compared to the SW1X DAC 2 the Wadia is not quite as “impressive” as I recalled it to be, and it also doesn’t involve me as much emotionally. I’m afraid that tube components have this effect: no matter how much better another solid state component is, in my experience so far it just doesn’t have the same kind of liquidity that tubes do so well. Above and below: on individual photos this is not clear, but when placed next to each other, it is easy to see that the DAC 2 is considerably larger than the DAC 1. 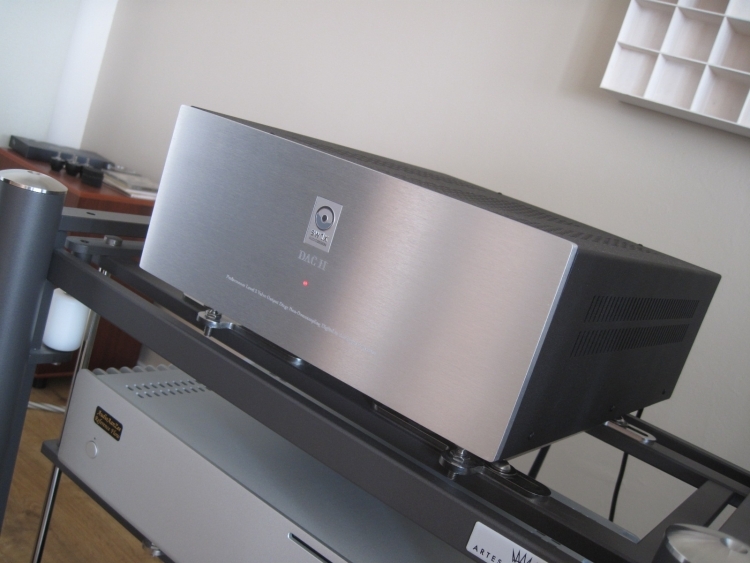 Here the Bricasti M1 DAC offers a nice alternative. Although also solid state, the M1 is a lot more organic than the Wadia, yet retains a large portion of the typical Wadia tonal fullness and bass power. The Bricasti is my current reference DAC and it costs a lot more than the SW1X DAC 2, but between the M1 and the DAC 2, both do have their particular merits. 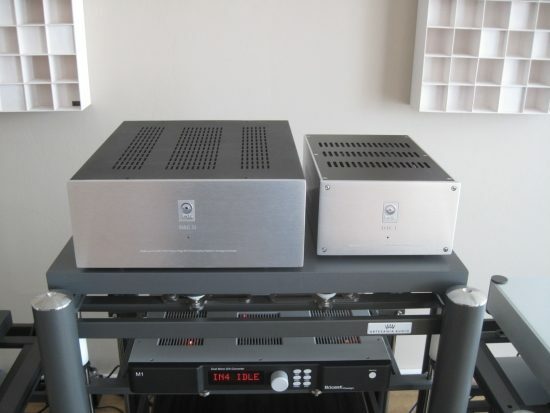 Most obviously the M1 is more neutral top to bottom, making the DAC 2 seem a little uneven by comparison. The M1 also offers a higher level of resolution, and has more powerful deep bass. The SW1X however has more punchy mid-bass and still trumps the Bricasti in terms of liquidity and overall emotional delivery. With most acoustic music as well as with soulful music and especially with vocals, the SW1X tends to deliver more emotion. By that I mean that the brain switches off more easily and you just slide into the music. With jazz-rock and speedy electronic smooth jazz however, I tend to prefer the Bricasti for its more refined and even sound. The Furutech Alpha powercord worked so well that I have had no desire to change it. From experience I’d say that the SW1X probably works well with a wide range of power cables, and it is up to the end user to decide if the sound needs further sharpening (Belden, Siltech) or smoothing (Furutech FP-TCS31, Harmonic Technology). I just think it sounds perfect with the Alpha 3, which sadly is no longer in production. 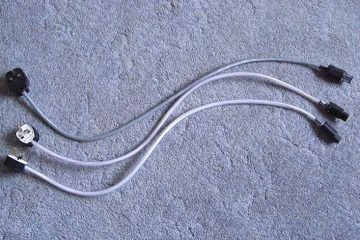 The Siltech interlinks used are very open and neutral sounding, but not at all sharp as some earlier versions of this brand. This likely works very well because my setup is quite smooth of its own. What also worked well are the AudioQuest Water interlinks. They have a darker, more sonorous sound than the Siltechs but retain resolution and speed, and are a great alternative if the setup tends to sound a little thin or overly bright. Unless you start comparing, there is nothing wrong with either of the DAC 1 versions. But, if you don’t have the budget to buy the DAC 2, then don’t listen to it! 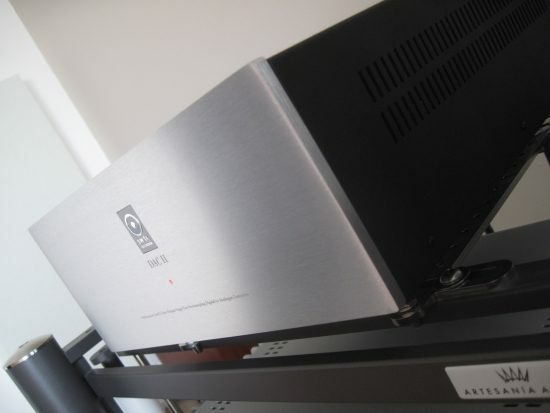 Going from DAC 2 to the active DAC 1 for example, there is a sense of sobering up, the sound becoming less “special”. It’s a bit like having always been satisfied with a nice mid class car, then one day driving a luxury brand. The mid class car can do everything just fine but the luxury car give you that extra trance-inducing feeling that leaves you excited and relaxed at the same time. This is what the DAC 2 offers over the DAC 1. The Exogal Comet really is a splendid DAC and one that I keep falling back to as the next best thing if it wasn’t for Wadia or Bricasti. The Comet is more refined and even-handed than the SW1X DAC 2, but the latter has more muscular bass and packs more dynamic power overall. But most of all the DAC 2 is a more emotionally involving performer. 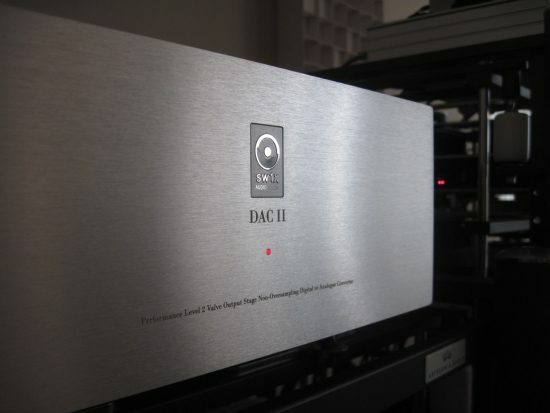 Just like both DAC 1 versions, the DAC 2 has a very appealing liquidity with a nice dose of added richness but like the entry level DACs the DAC 2 definitely does not sound mushy or overly smooth, as can be the perceived stereotypical tube sound. It is actually very dynamic and highly entertaining. 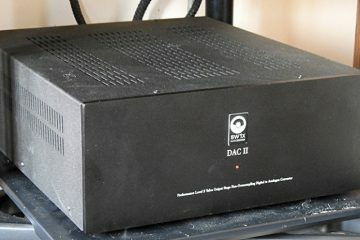 The DAC 2 reviewed here is only the basic DAC 2 version, there are also the special and signature versions that add further improvements, but even in its standard guise, the 2 is quite magical. It has considerably more refinement and definitely more midrange magic than the entry level DACs and while both DAC 1 versions are every bit as entertaining, the DAC 2 adds to this with a more seductive and even more fascinating delivery that is hard to describe. Perhaps it’s best summed up as a form of luxury without any of the slurring or “honeying” that often comes along with such a quality. Is this the elusive tube magic? Is it smart design? Or a combination of both? Franky I don’t care. 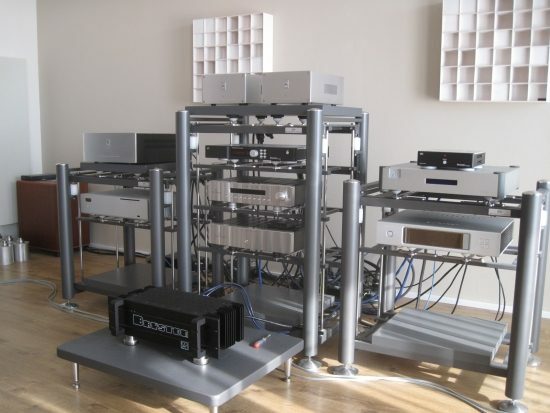 All I can say is that all SW1X DACs so far make me want to listen to music, not dissect the technical properties. And isn’t that what it was all about after all?